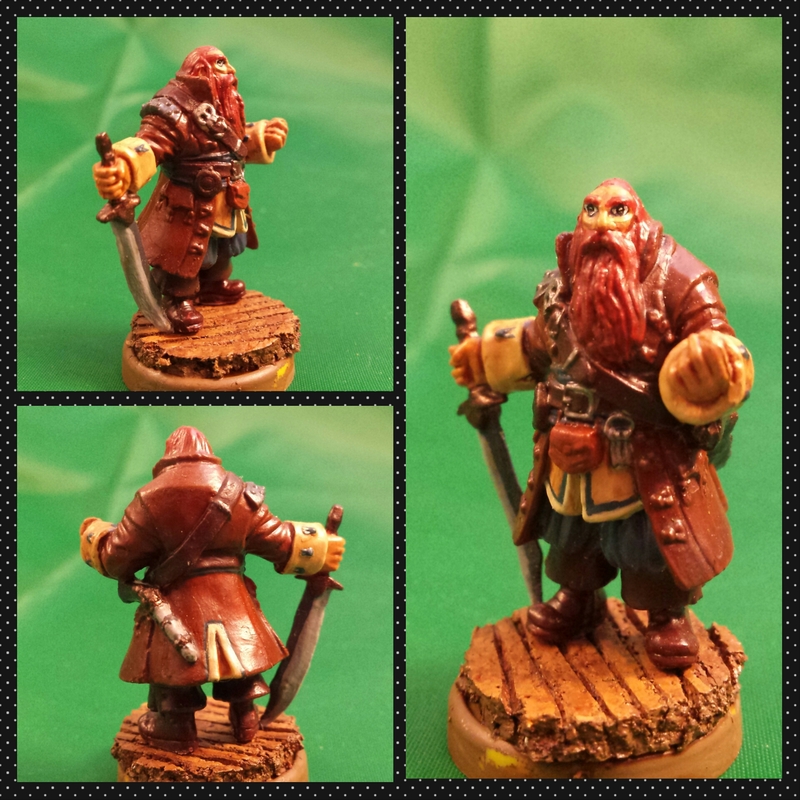 This is Captain Stonebones. He is based on cork, cut and painted to look like board planking. He was a lot of fun to paint! I actually ordered 2 of him on accident, before I realized I had one from the vampire set! So, he will have 2 brothers eventually. 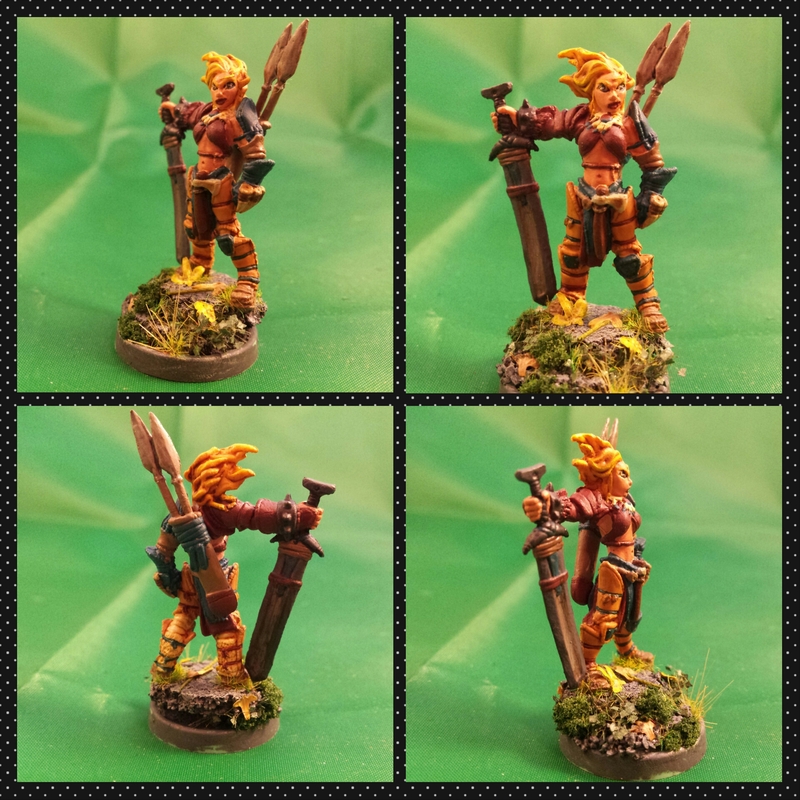 This is my barbarian, Birgitte. 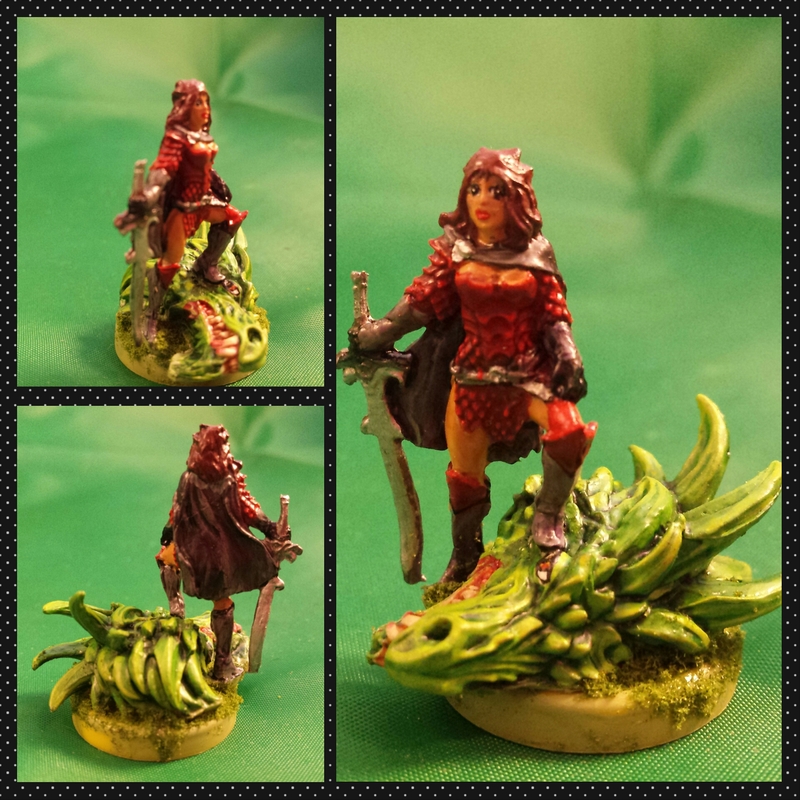 She is a beast on paper and on her mini. I need to work on my non-metallic metals (NMM), right now they’re just lazy. She is based on a conglomeration of cork and most of the different basing materials I have. I kind of just had a ball. This is my dragonslayer! I love her! I’m not sure what was going on with her hair. Is that a crown? Is it hair pointies? I have no idea. But I thought the Dragon came out well! So, I figure 3 pictures at a time… Trying to limit myself! Enjoy!